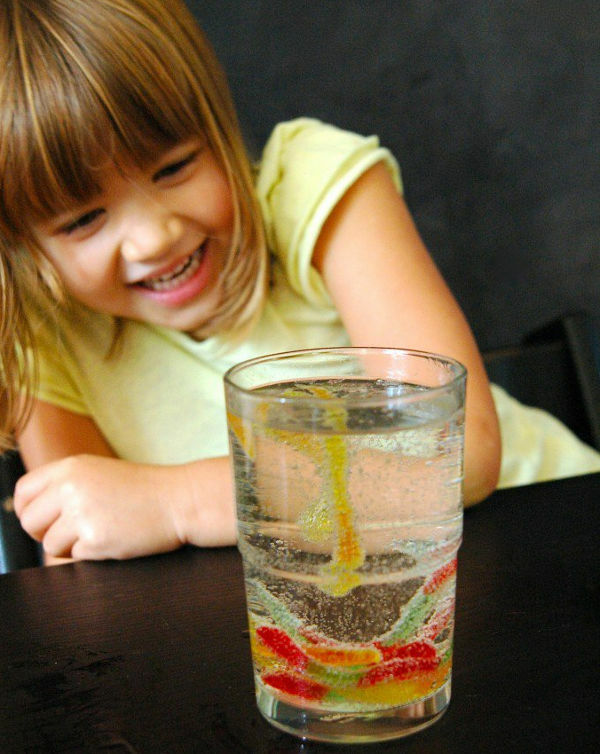 Celebrate National Science Week with 6 fun experiments for toddlers and preschoolers! Bunsen burners, breakable beakers and little children don’t mix – but that doesn’t mean young Einsteins should miss out on science fun. It’s National Science Week, so we’ve compiled a list of exciting experiments just for little ones. We can’t guarantee they’re clean, but they’re certainly fun! Cut the worms lengthways in quarters, then get the kids to measure out three tablespoons of baking soda. Stir them into a glass filled with warm water, pop the gummy worms into the mixture and stir. This experiment then becomes an exercise in patience, while you wait 15 minutes for the worms to soak up the mixture. Fill the second cup with vinegar, then fish out your gummy worms from the first cup using a fork. Drop them one by one into the vinegar, and eventually they will dance! For little ones in the southern states who are eagerly counting down the days until the warmer weather arrives, here’s a way to jog their memories of the beach. This Happy Hooligans experiment is simple, and mesmerising. Fill about one third of the bottle with water, then add a few drops of food colouring. Get your little one to shake the bottle so the food colouring does its thing. Then top up the bottle with cooking oil (you can fill it right to the top). 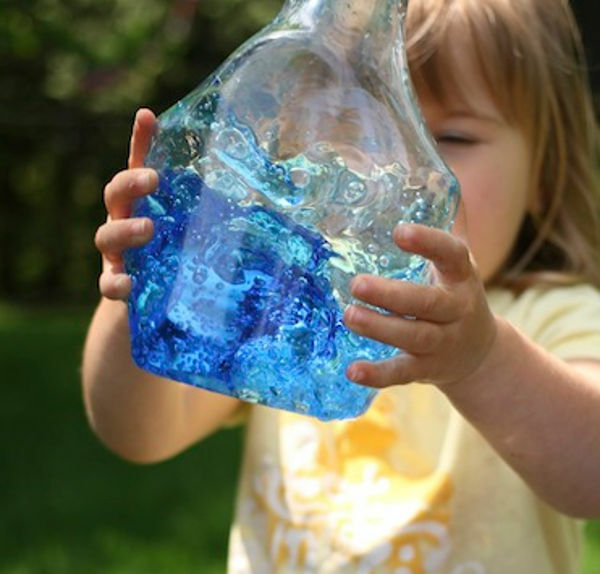 Get your toddler to tip the bottle upside down, and you have an ocean in a bottle! Add a few drops of food colouring to the milk, because toddlers are much more enamoured by anything colourful. Then get the kids to dip a toothpick into the dishwashing liquid, and then touch the tip into the coloured milk. Watch their little eyes light up when they see what happens. They can mix the liquid around and watch the milk move and change. Then you can add some baking soda and vinegar to the milk, and watch it bubble and foam! It’s like two experiments in one. Lay out the sheets of black card, and use the glue to write which ingredient you’ll be using on each piece. You can also do some other designs in glue (or get the kids to do this). Then sprinkle either sugar, salt or flour on the glued areas. 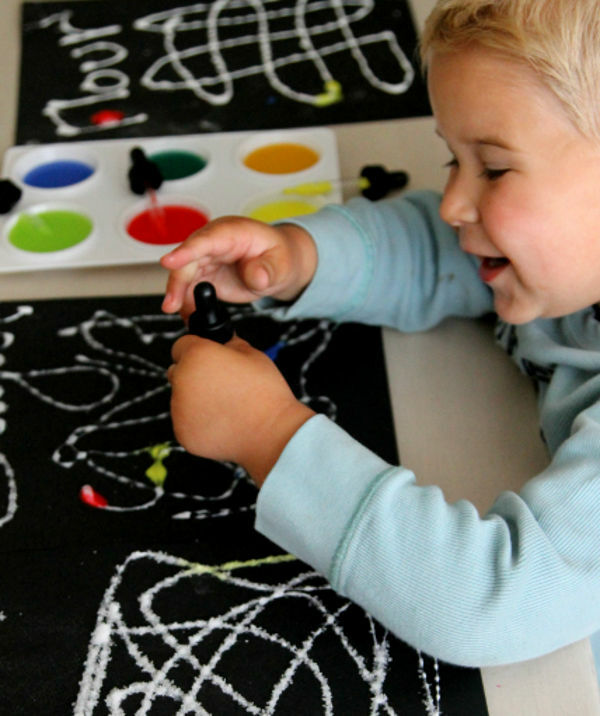 Get your child to take the eyedropper, filled with water colours, and squeeze a little on each piece of paper. They can observe if it spreads, attaches or repels. 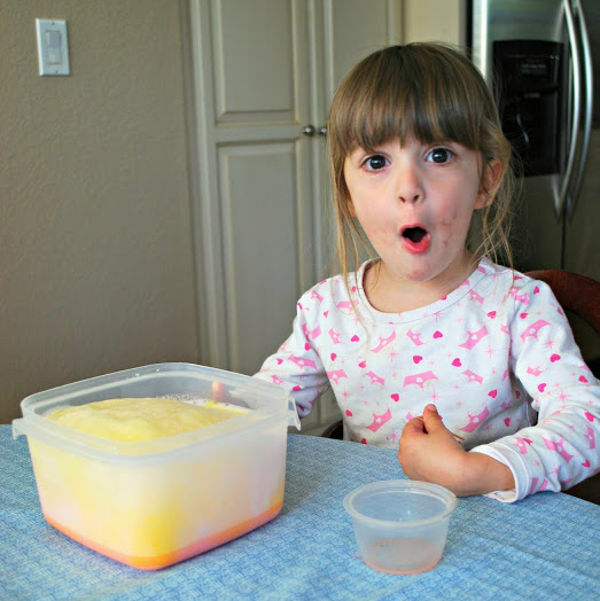 Toddlers with a little more patience will appreciate this experiment that we found over at Teaching Tiny Tots. It’s a great way to teach children how plants grow, by ‘drinking’ water. All you’ll need is some stalks of celery and cups filled with water dyed with food colouring. Over the next few days the kids will be able to observe the colour changes in each of the stalks. 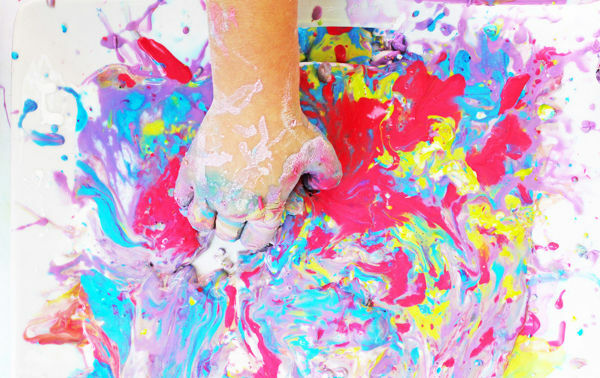 This has to be one of the easiest, messiest and tactile toddler experiments ever. An oldie, but a goodie, all you’ll need is cornstarch, water and food colouring. My tip is to do this one outside, in old clothes. Just mix the cornstarch, water and colouring together – you can experiment with how much of each to get different textures. Then get the kids to mix it around. Sometimes it feels dry, sometimes wet. Incredible stuff! You’ll find more details over at Babble Dabble Do. For all things science-related and to see what’s happening in your area for older kids, check out the National Science Week website.